Hi friends! i just had to introduce our new puppy, Moki. He is the sweetest, softest, smartest little guy ever! 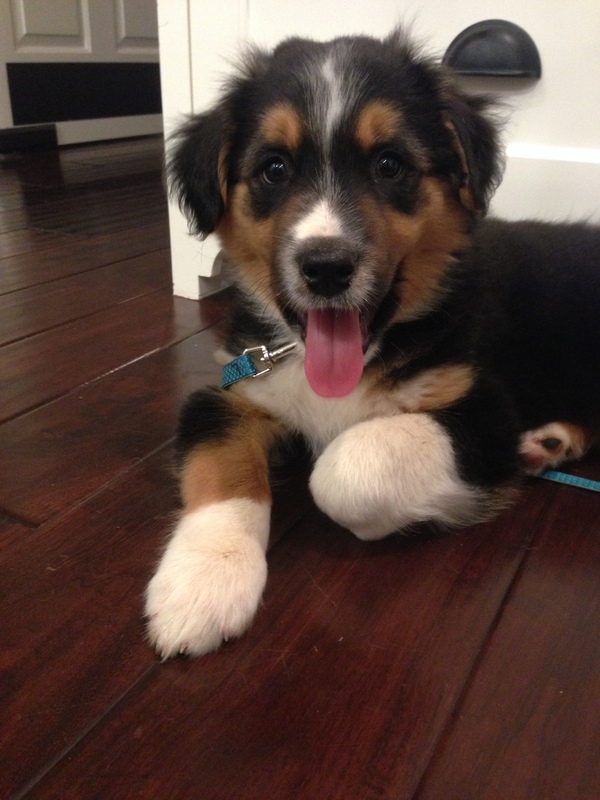 He is an English Shepard and I am in love! I’m spending all my time training him- so if I don’t post for a few days, you’ll know why! In the meantime, you can shop for fabulous Stampin’ Up! products 24/7 with me here and your items will be shipped straight to your door. Hooray for stamps at your door! Thanks, LaToya, we are all crazy for him! Fabulous pup and he suits his name too. Awwww, thanks Cobs! So far, he is the quickest learning pup I’ve trained yet! Sending some love your way, too!